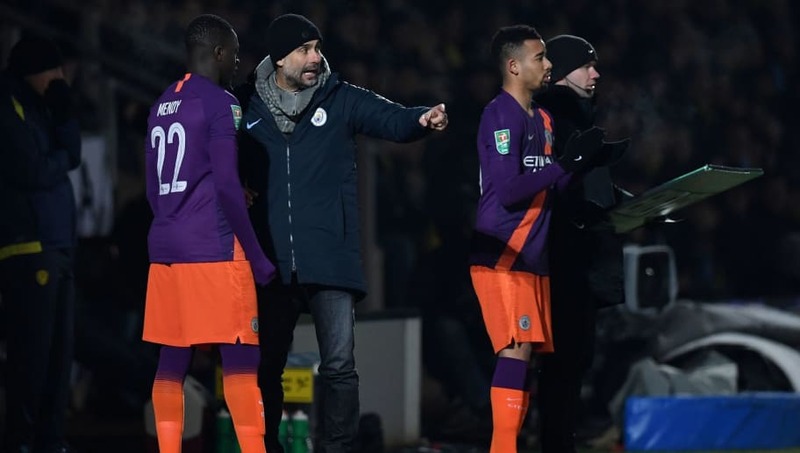 ​Pep Guardiola was critical of the playing turf at League One Burton after his Manchester City side won 0-1 on Wednesday, securing a 10-0 aggregate scoreline to qualify for the Carabao Cup final. Having won so emphatically in the first leg, Guardiola rested a number of key players, including Raheem Sterling and John Stones, while left back Benjamin Mendy made his comeback from injury with a cameo in the second half. After the game, Guardiola said his side gave the game the respect it deserved in testing conditions. He said, as quoted by Sky Sports: "The pitch was so dangerous, so slippery. Young players Eric Garcia, Philippe Sandler, Ian Carlo Poveda-Campo and ​Phil Foden were all given starts and Guardiola was happy with how his fringe players dealt with the occasion. ​​City will play either ​Chelsea or ​Tottenham in the Carabao Cup final on 24 February.